Increasingly, enterprise organizations are moving to the cloud for IT Service Management (ITSM)—but is cloud delivery right for your business? Learn about the changing face of ITSM and gain the perspective needed to make the right ITSM decision for your organization. 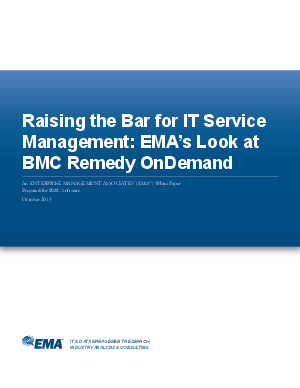 Get the free white paper from Enterprise Management Associates.